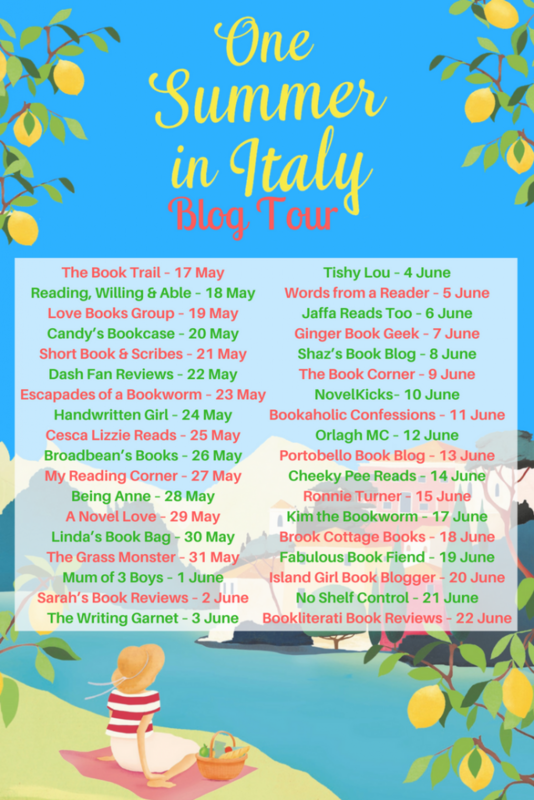 Thanks so much to Sue’s publisher for inviting me to be part of the blog tour for the fabulous One Summer in Italy! Honoured to be part of this amazing blog tour with tons of wonderful bloggers. At the bottom of the post is a list of all the other bloggers on the tour. Please do look them out and check out their posts too. 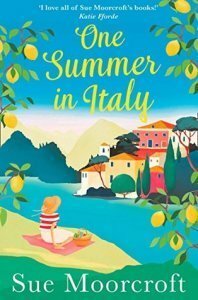 From the moment that I started to read about Sofia and her father’s relationship and then Sofia and Amy working together at Hotel Casa Felice, I was totally immersed in Montiliberta in Italy, and felt totally ensconced in this heart warming story and felt like I was part of the cast. Oh and Levi! Well, I think I fell for Levi as soon as I met him. 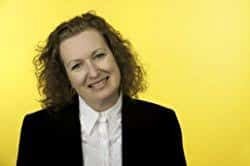 Sue Moorcroft has always had a fabulous way of creating such wonderful characters that you totally invest in and creates such dreamy leading men that I never seem to be able to find in real life! LOL! I really loved following Sofia’s journey honouring her father’s last wishes to live her life to the full and finding out more about her family and their history and why her father wouldn’t tell her certain things. The live your life to be happy lesson, is a lesson we should perhaps all learn. The pages of this gorgeous read, turned themselves as the mysteries she had set out to discover unfurled and we learn more and more. It’s deep and meaningful, yet heart warming and leaves you with a warm, fuzzy, feel good feeling and just a little sad that I came to the end. I actually feel like I had a holiday! And it’s definitely moved Umbria even further up my “places to visit” list. Thoroughly enjoyable, highly recommended and five big fat stars from me!